Future Technology Devices International Limited (FTDI), available through Glyn High-Tech Distribution adds a new single channel Hi-Speed USB device to its portfolio of USB interface IC products. The FT232H USB2.0 Hi-Speed device is a versatile single channel USB to UART/FIFO interface IC device that can be configured via EEPROM to use a variety of different serial or parallel interfaces. Bundled with FTDI's proven USB device drivers, this solution minimises design and support effort by engineers while adding Hi-Speed USB connectivity into new and legacy peripheral designs. The associated UM232H evaluation module allows engineers to quickly prototype and test the FT232H’s suitability for incorporation into new system designs. The highly integrated USB device controller contains USB, serial and parallel protocol engines, eliminating any requirement for USB-specific firmware development. 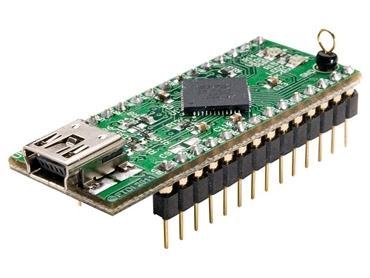 The device supports IO interface levels of 3.3V with 5V tolerant inputs, making it suitable for connection to a wide variety of logic, MPUs and FPGAs.